A super-easy, light and delicious soup that relies on using a top-quality chicken stock. Load it up with all your favourite toppings. Get all you can eat recipes and more. Starting at just $34.90 for 12 months access. 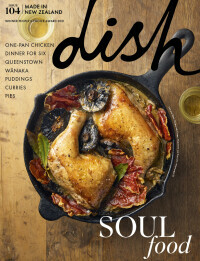 To continue reading, login or subscribe to a digital Dish subscription. Get unlimited, online recipe access. From just $34.90 for 12 months.